It is inevitable that unexcepted abnormals will happen during the pellet plant is running. Well, you can’t blame all the issues to the quality of the equipment as some of them may be caused by manual misuse or some other reasons. But from our experience, the troubles do not just happen. They have omens. To know these early signals help you to tackle the upcoming problems in advance so that the production schedule will not be disturbed. You will only suffer a minimum even no loss at all. Signal 1: the skin of the pellets now is uneven with scars. If this happens, by and large, the blades (the cutting knife) of your ring die pellet mill are broken. You need to find the broken ones and replace them with new ones. Because if the blades are in good condition, the produced pellets will be cut in a uniform length and the will have a smooth surface. Signal 2: the pellet surface is too smooth. 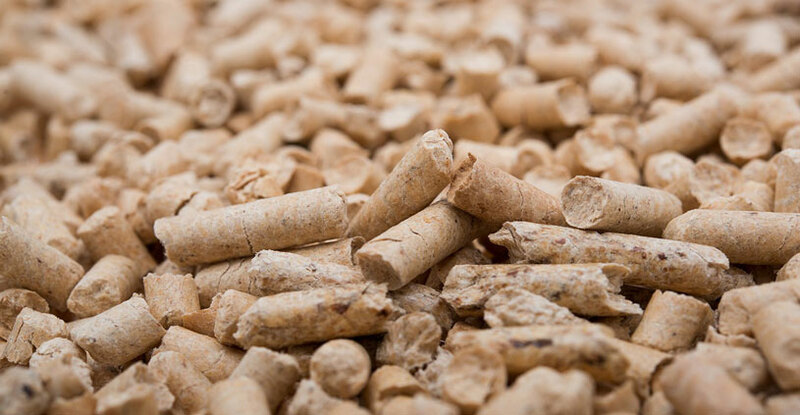 It is a common sense that quality pellets have a smooth surface. But everything has its limit. If you find the pellet surface is polished too much then before, it may indicate that the pellet mill is pressing the material too hard, or the compression ratio has become smaller. Although this is very rare to see, you still want to check the raw material whether or not there are hard impurities before production. Signal 3: pellet machine or the pellet hole in the die plate is stuck. This is the most regularly seen problem in the clients’ pellet plant. This is all the reason why we emphasize that the moisture content of the raw material needs to be taken care always. If the water is too much, you have to dry the material to a lower level. Try to avoid produce pellets when the environment is wet. Signal 4: the machine itself has cracks on its body. Apparently, this is a big problem. But the reality is that you will not see it until the machine breaks badly. One of the most obvious early signals to this problem is noise. If the pellet plant is running with unexcepted strong noise, it’s possible that the machine has cracks. Cease the operation and make a thorough check. Reading one post is far, far from understanding how to build a pellet plant totally, that is the reason why GEMCO writes a complete guide on pellet plant building, don’t waste your time anymore on searching, download it and start learning today!